Love. Just as the light of a candle has the power to light a dark room, so, too, do many couples see their love as powerful enough to turn unhappiness into happiness. Just as the candle gives off warmth, many couples believe that their love is a warmth that will sustain and comfort. The future. Light is often seen as a symbol of hope, and candles are a source of light. Union. Many couples choose to allow wedding candles to play a big part of their ceremony. Some couples choose to each have a lighted candle and to use these two candles to light one unlit candle. This simple ceremony is a powerful symbol of the union that is being created. Passion. Fire is often associated with passionate love, and the open flame of a wedding candle represents this. Faith. Candles are used traditionally in many religious and spiritual ceremonies as a symbol of faith, which sustains us in darkness and illuminates us. Wedding candles also are symbolic of faith, not only religious faith but a couple’s faith in each other. 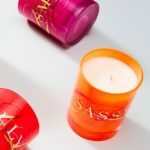 Just about any candle can be used as a wedding candle, but wedding candles are even more special when they combine beautiful light with attractive design and a wonderful fragrance. Scented wedding candles add another element to the wedding ceremony and create an extra sensual pleasure. 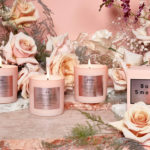 Many scents are appropriate for wedding candles and there are many lovely fragrances that can make your day extra special. 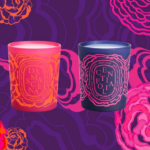 The Delirium & Co. Delicate Bouquet candle, for example, is an excellent choice. This scented candle blends fragrances such as peach flower, lilac, lily of the valley, jasmine, peach flower and ylang ylang. With an elegant silver and white decorative box, it looks perfect at any weeding. The fragrance is rich and exotic and glamorous enough for the big day. The Tocca Yma candle is a gorgeous white and blue packaged candle that looks elegant. 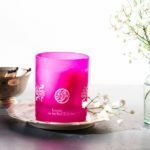 The rich scent of Peruvian guava fruit and red currant give this candle a unique and wonderful fragrance. The richly scented candle is long-lasting and smells heavenly. 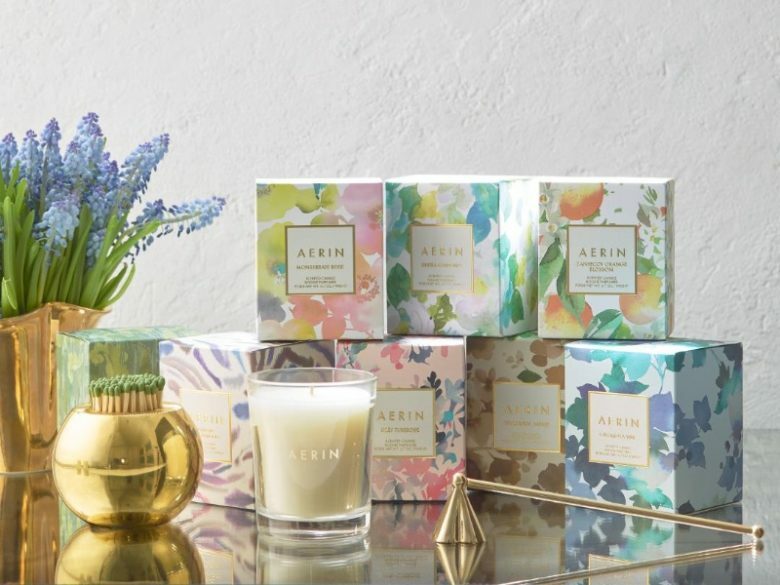 For after wedding, the aptly-named Jonathan Adler Capri Honeymoon candle combined scents of citrus, herbs, wood, moss, as well as musk. The chic brown glass jars and gorgeous boxes are a wonderful wedding gift to yourself. Don’t forget that wedding candles make a great gift for a wedding. They are not too personal or impersonal and every couple enjoys candles. They are great for the newly married couple who is moving into a home and needs a few special decorative touches. They are also a wonderful luxury gift that gives hours of light and fragrance. 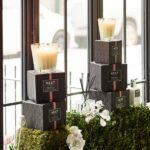 Whether it’s your big day and you want to add something great to the ceremony or whether you need a great gift because you’ve been invited to a wedding, think wedding candles. Scented candles, especially, can be the perfect little detail for a day that exists just to celebrate love.